Welcome to Stranded!, my Strand Magazine-based April A to Z Blogging Challenge! In this challenge, I will be taking illustrations from The Strand Magazine and making new stories out of them. Here are two separate story beginnings, each of which will be continued in days to come. Oh this is a fun idea! I love the pictures and the theme! Haha! I love this. Poor Alfie, all wet in the rain with a creepy guy lurking behind him. Love these. I hope Annabelle manages to avoid the tigers. 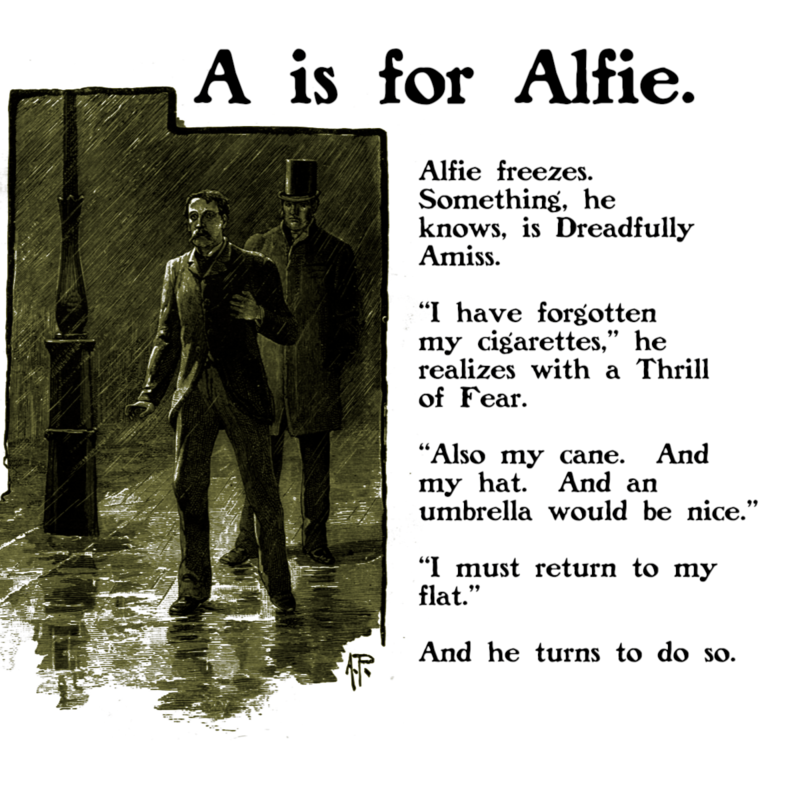 And Alfie, well that forgetful fellow may be seriously regretting the lack of a cane much more so than the umbrella in a few seconds. Hello Jean! I agree. A cane would come in handy; a shame, really, that he left it at his flat. Then again, if he’d done that, his adventure, perhaps, would not happen. I just stumbled onto this and I love it already. Now to catch up on the rest of it! Late to this story but I had to go back to A, once I started! Also read your theme reveal post, this is only my second year doing A-Z and I already feel I’m spending more time than I have on this, but it is so much fun that I can’t stop. Hello Josefine! Thanks! 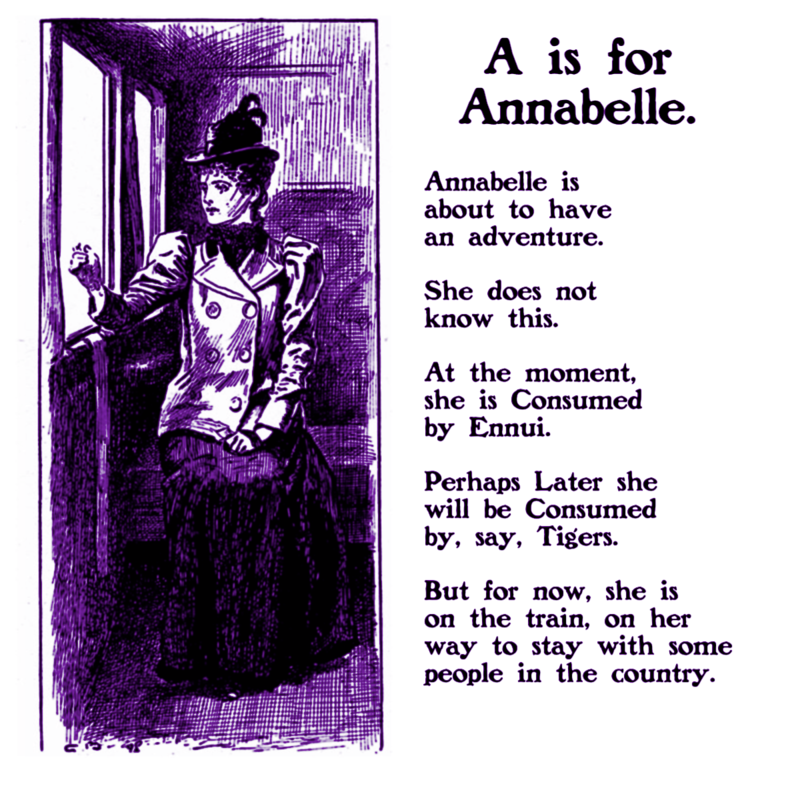 And I am glad you are having fun with your A to Z– it IS rather time-devouring, isn’t it? But worth it when that means you can put something up on The Internet that you are really pleased with.. Thanks so much for stopping by! I will look in again on your A To Z soon! Late to the party but here I am. This is wicked. I’m heading off up the alphabet right now. Hello Keith! Glad you made it! Come right in! Thanks! Also– your A to Z is super-fun.